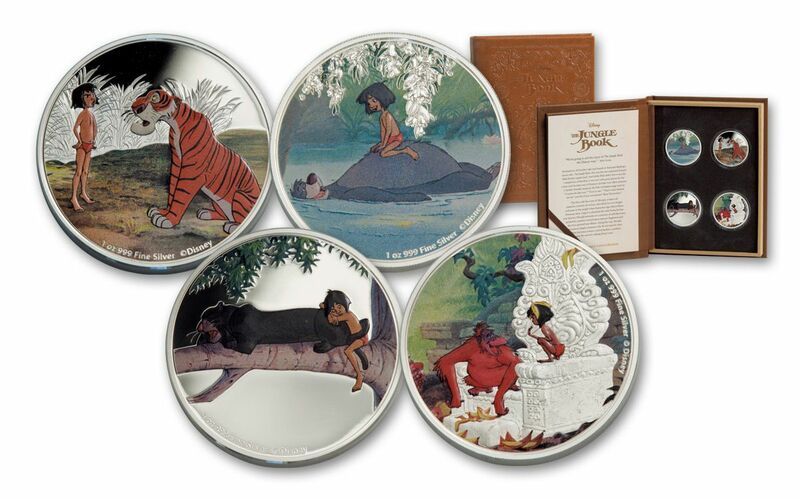 Add These "Bare Necessities" to Your Disney Collection! 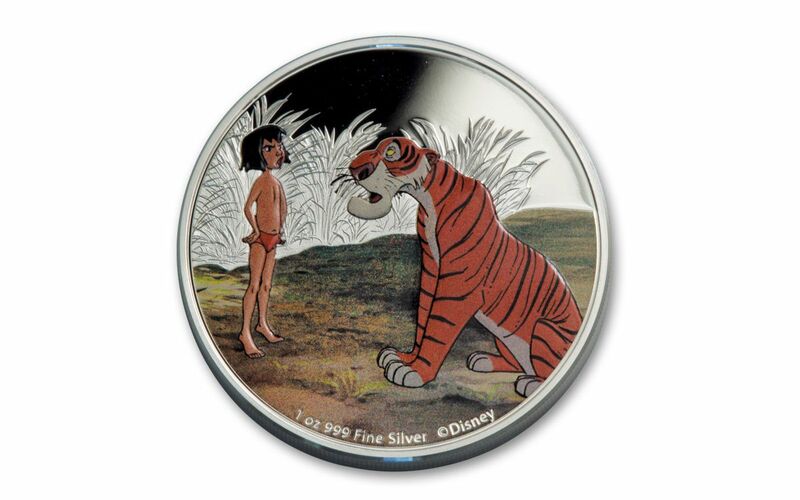 It’s hard to believe that it’s been 50 years since young Mowgli and friends first appeared on the silver screen! 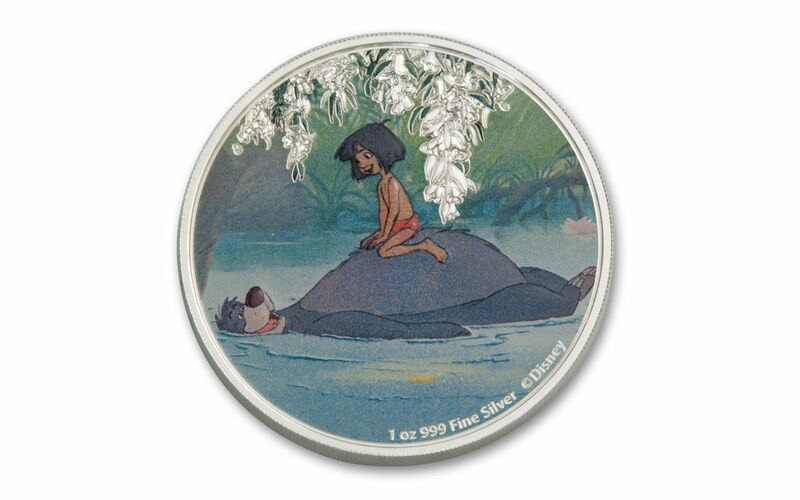 "The Jungle Book" has endured for decades, and saw new life as a live-action feature in 2016. 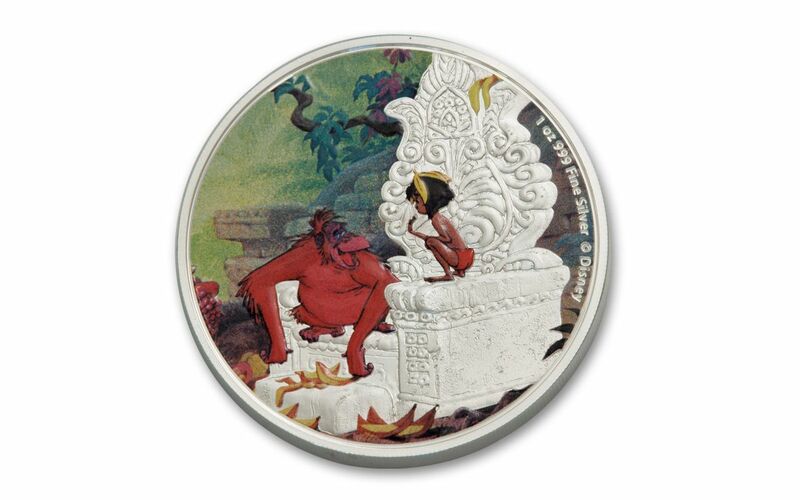 Celebrate the film’s 50th anniversary with this wonderful set featuring four legal-tender proofs, each struck in a full ounce of 99.9% fine silver. 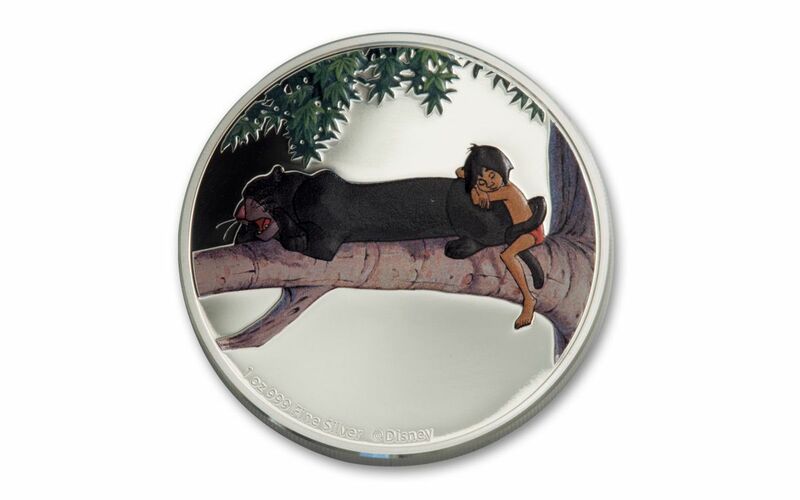 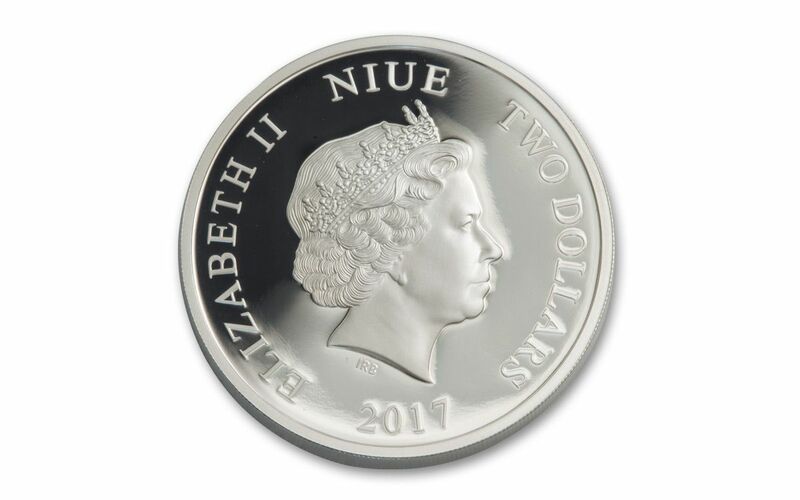 Each coin features Mowgli with one of his newfound friends in full color. 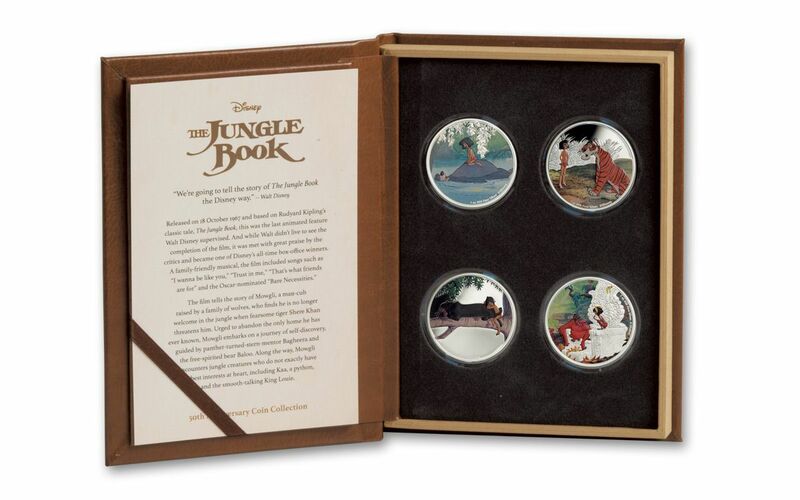 All four are presented together in beautiful story-book style packaging. 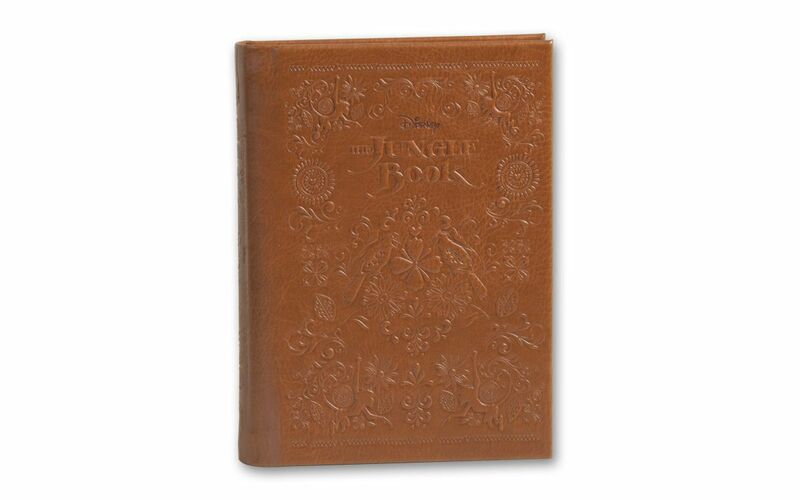 Bring this classic adventure home today!